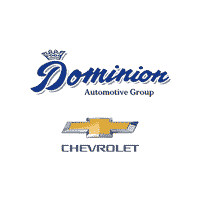 Dominion Chevrolet is known for our commitment to providing outstanding customer service and quality vehicles at an affordable price, but we are also dedicated to giving back to organizations throughout Michigan’s Great Southwest. Our dealership has teamed up with a variety of organizations in the past, including those that support education initiatives, help the less fortunate, pageant contestants and promote little league sports. Our dealership and Lou Dominion is just as passionate about community involvement as we are about our customers’ satisfaction. Below are some of the remarkable organizations and events that we have proudly supported. Every year in January we run a campaign to Vote to Donate, we host a promotion for people to vote for their local charities and the one who gets the most votes gets a donation from the sales that month. We always leave a write-in and a new local charity Harbor County Missions who opened a warehouse next to our dealership got the most votes last year. In February one of Mr. Dominion’s favorite charities is St. Jude’s Children’s Research Hospital and we promise that a portion of the sales from the month of February goes to St. Jude’s Children’s Research Hospital. In July of each year, we are the Platinum Sponsor for the Play for Gateway Softball Marathon. This is a fun softball game where the teams bribe the umpires to make players do some crazy things like hit with a broom, run the bases with their shoes tied. Every year we have a blast supporting Gateway VRO who services individuals with disabilities but playing in the game, last year we got to play the Gateway VRO Staff.